In surprising and exciting news for the wrestling industry, IWGP Heavyweight Champion Kenny Omega will reportedly be the subject of a new HBO documentary in 2019. The news, however, wasn’t revealed by Omega himself. An artist by the name of Joseph Shabason was interviewed on episode 448 of the Kreative Kontrol podcast. During the podcast, Shabason was asked by host Vish Khanna to give an insight into his upcoming projects. In the process of explaining what he has been working of, Shabason made mention of the fact that he worked on the score for an upcoming HBO documentary to be released next year on a wrestler named Kenny Omega. Obviously, Shabason is incorrect in saying that the storyline between The Golden Lovers is the first queer storyline in wrestling, but the belief there is that he is either uninformed or meant New Japan Pro Wrestling specifically, which is the promotion where Omega primarily wrestles at. Regardless, there does not seem to be a timeframe for the new HBO documentary. 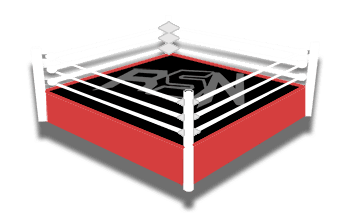 The expectation is that it will be in the first quarter of the year, though we here at Ringside News will provide you with any further updates as we learn more about this upcoming project. Will you watch the documentary? Did you enjoy the HBO Andre The Giant documentary? Let us know your thoughts, opinions, and reactions in those comments below.